We are a Dundee plumber company with a long history and a lot of experience, over 65 years in fact. Being accredited installers for Worcester Bosch means we can provide you with an extended gurantee up to 7 years on new Worcester Bosch boilers. William Ree & Partners provide plumbing services to areas all around Scotland. Our Plumbing Services include leak finding and repair, gutter repair, boiler repair and warranty, bathroom installation and disabled adpations and many more. For over 60 years William Ree & Partners have been providing the Dundee, Fife and Tayside regions with a range Plumber services. These include Bathroom Design and Installation, Boiler Fitting ,Installation & Repairs, Central Heating, Guttering as well as Gas Safe Landlord Certificates and also many other plumbing services. If you are looking for any plumbing service don't hesitate to get in touch. William Ree & Partners are Worcester Bosch Accreditted Installers based in the Dundee area. Being an accredited installer with Worcester Bosch means we can provide you with an extended gurantee up to 7 years on new boilers, no obligation quotes, new boiler installations, repairs and boiler servicing. You can read more about Worcester Bosch Accredited Installers and what it means to you. 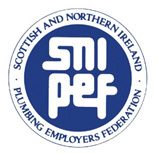 William Ree & Partners are a Dundee plumbing company who are members of the Gas Safe Register, SNIPEF (Scottish and Northern Ireland Plumbing Employers Federation), ConstructionLine and SAFEcontractor aswell as being a Worcester Bosch Accredited Installer. 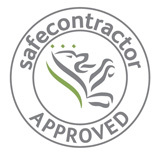 The aim is to make sure every one is safe and you have that guarantee of quality and safety. William Ree & Partners have been providing plumbing services to Dundee, Broughty Ferry, Fife and as far a field as Aberdeen, Edinburgh and Glasgow since 1947, that is almost 70 years of plumbing experience. William Ree & Partners understand how important it is to get the best Bathroom Design possible. Thats why we take time to discuss what you want in your bathroom and help you design your new bathroom. William Ree & Partners offer affordable and reliable plumbing cover for landlords in and around the Dundee area. 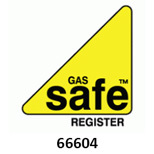 We can also provide you with Landlord Gas Saftey Certificates aswell as Boiler servicing and warranty. William Ree & Partners are happy to talk over any Dundee plumber, boiler or heating work you may want to undertake. A professional plumber in Dundee is just a call or email away. Website designed and maintained by Teckle Digital.